Indocyanine green (ICG) angiography is an eye test that is used to detect blood circulation problems in the choroid. The choroid is a blood vessel layer located under the retina in the back of your eye. The test uses an injected dye and special cameras to take photos of the blood vessels. 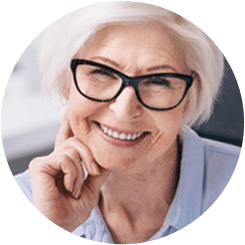 ICG is used to diagnose certain eye conditions, such as macular degeneration, or to determine if laser treatment is possible. ICG is a short procedure that is performed in a doctor’s office. The retina is located at the back of your eye. The retina is a thin tissue layer that contains millions of nerve cells. The nerve cells are sensitive to light. A main purpose of your eye is to focus light on the retina. The choroid is the lining underneath the retina. The choroid contains blood vessels that supply your retina with blood and oxygen to keep it healthy. Cones and rods are specialized receptor cells in the retina. Cones are specialized for color vision and detailed vision, such as for reading or identifying distant objects. Cones work best with bright light. The greatest concentration of cones is found in the macula and fovea at the center of the retina. The macula is the center of visual attention. The fovea is the site of visual acuity or best visual sharpness. Rods are specialized receptor cells that are located throughout the rest of the retina. Your eyes contain more rods than cones. Rods work best in low light. Rods perceive blacks, whites, and grays, but not colors. They detect general shapes. Rods are used for night vision and peripheral vision. High concentrations of rods at the outer portions of your retina act as motion detectors in your peripheral or side vision. The receptor cells in the retina send nerve messages about what you see to the optic nerve. The optic nerve extends from the back of each eye and join together in the brain at the optic chiasm. From the optic chiasm, the nerve signals travel along two optic tracts in the brain and eventually to the occipital cortex. ICG is an eye test that is used to detect blood vessel problems in the choroid. 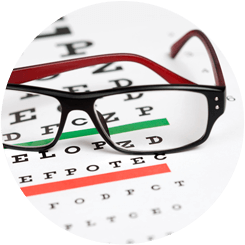 This test is important because some blood vessel conditions can lead to vision loss if not diagnosed and treated early. The procedure uses an injected harmless green dye called indocyanine green. The dye reflects infrared light that is picked up by a special camera. An ICG is different than a fluorescein angiography, a similar imaging test and is often used in conjunction with a fluorescein angiogram to define a particular problem in the macula. ICG produces detailed pictures that can show leaking blood vessels, blocked blood vessels, or vascular abnormalities. The test is also used to determine if laser surgery is possible and to plan laser surgery. ICG can pinpoint a blood vessel leak and determine the exact location to be lasered. ICG is used for many conditions, including age-related macular degeneration, choroid tumors, retinal detachment, retinal hemorrhage, and choroidal neovascularization. You will need to have someone else drive you home from the test because your vision will be blurred following the procedure. Your doctor may have you discontinue taking certain medications prior to the test. You should tell your doctor if you are hypersensitive to iodine, allergic to X-ray dye, or allergic to shellfish. You should tell your doctor if you are pregnant or have liver disease. Your doctor will dilate your pupils with eye drops. Your face will be stabilized with a positioning device for the test. Your doctor will use special cameras to take pictures. The dye will be injected into your vein. Your doctor will take a series of photographs as the dye moves through your blood vessels. Your vision will be blurred for several hours after your test. Your urine will be darker than usual for a few days, as the dye leaves your system. In rare cases, some people may be hypersensitive or allergic to the dye. Because the reaction can occasionally be serious, you should call your doctor immediately if you experience symptoms. Symptoms may include nausea, vomiting, dry mouth, increased saliva production, a metallic taste in your mouth, feeling dizzy or faint, hives, sneezing, and increased heart rate. Copyright © Jaffe Eye Institute. All Rights Reserved.